Blog Pricing for real estate photography: what does a photo shoot cost you? Pricing for real estate photography: what does a photo shoot cost you? Real estate photographers: What does a photo shoot cost you? 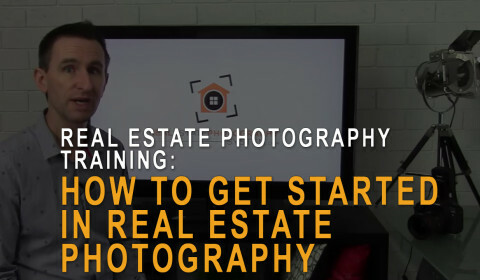 A lot of photographers in the world of real estate photography charge really low rates, down to $100 or even far less. But can a photographer operate a successful business at such low rates? To find out it’s worth looking at what it really costs you to do a photo shoot. 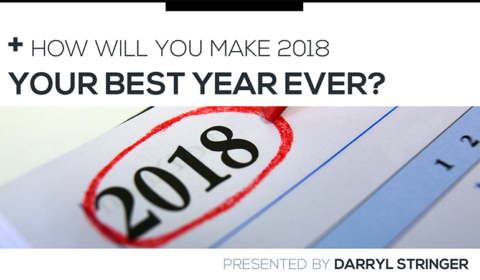 To do this you need to look at all of your costs, and spread them out across all of the photo shoots you do each year to find out what the real cost for you is per photo shoot. To help you with this you’ll want to watch the video I’ve created for you up above. However, you might also like to download this PDF that will help you analyze your numbers so you know what you really need to be charging. After downloading this PDF you might find it easiest to print it, and then write your numbers down on paper as you work your way through the material. Let’s have a chat about pricing for real estate photography. If you’re charging $100 for a photo shoot then you could be making as little as $14 for your time spent shooting and editing one property. And if it takes you 4 hours to cover travelling to the house, shooting, editing and delivering the photos, then you’re making $3.50 per hour. Alright, so how did we get to that value? Well, let’s look at this in detail. What we need to do first is work out what your costs are for doing each individual photo shoot, and I’m only going to cover the basics here so your own costs may be higher or lower than this, so you might need to work out some of those things for yourself. So we’ll start by working out an average fee, and an expected number of jobs that you’ll be doing in a 12 month period. Now I’m going to do this by assuming a really, really low fee of just $100 per photo shoot. Hopefully none of you are charging that little, but I know that there are lots of photographers out there with very low rates, so it definitely happens, and I wanted to show you an example of a very low fee and how much of a problem that can be. Let’s assume you’re charging $100, you’re doing 2 photo shoots per day, and you’re doing that for 45 weeks per year. Therefore the total per week = $1000 per week and $45,000 per year. This is for 450 photo shoots per year. Now let’s look at your other costs, and one of those will be camera gear. So in that we need to cover the upfront costs of your gear, and the anticipated replacement costs over time, and this needs to cover all of your gear – main camera bodies, spare camera bodies, lenses, flashes, and tripods. Let’s go for a really low fee of $3000 per year, which is probably not enough but we’re looking at a budget end so we’re going to assume you’re getting pretty basic gear. So if you spend $3000 per year, and you’re doing 450 jobs per year, then that’s 3000 divided by 450, which is $6.67 per shoot. The next cost is a car, and everything that goes with it. When we add in gas or fuel, then maintenance, then depreciation on the value of the car over time, we could be looking at $4600 in a year. So 4600 divided by 450 phot shoots per year = $10.22 per shoot. The next big expense is income tax. It’s obviously going to be different in each country, but if we look at the US tax rate calculator on an income of $45,000 then a photographer in the USA would be paying the self-employment tax plus income tax, which I worked out could be about $8000 per year, which equals $17.77 per photo shoot. That’s submitting as an individual, but your tax rate would be lower if you are submitting as a married couple, so keep that in mind and look at what you would owe on your tax rate. However, in the US if you want health care then you need to be extra up and above your taxes, so I went to an online health insurance site and one said that an average fee would be $4302 per year. So over 450 photo shoots that’s another $9.56 on top of the tax rate, so tax plus health insurance is $27.33 per photo shoot. Again, whether you need or want health insurance is up to you, but if you do need it then it has to be covered by your income, and that goes back to the fee you charge your clients. Another cost, of course, is your own training and time spent building your business. That’s time that needs to be covered financially. If you spend 10 hours per week working on your skills and your business then that’s 450 hours per year, and if we assume an hourly rate of $20 per hour then we do $20 x 450 hours which equals $9000. Then $9000 spread across 450 photo shoots is $20 per shoot. We also need insurance of our gear, and general liability insurance. I’m going to assume a rate of $700 per year for all of that, and again I know there is a lot of variation based on where you are and what gear you have, but let’s assume $700 per year, which is $1.55 per shoot. Finally, there’s the profit margin on top, and in that profit margin we’re going to include money set aside for retirement when you finish. 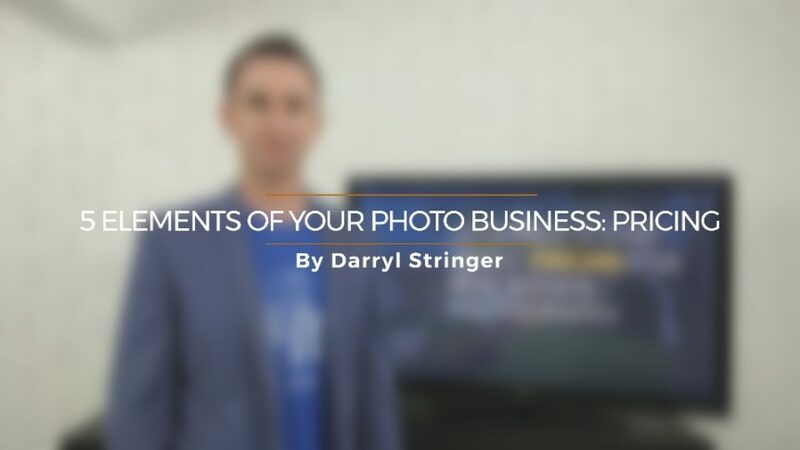 As a photographer you need to think like a business owner, not an employee. Ok, so if your client is paying you $100 for a 4 hour photo shoot, your income is not $25 an hour. This is really important that you get this – your income is NOT $25 an hour, and that’s because you need to factor in the hours you spend not shooting, you need to include your retirement contributions, and you need to plan ahead for when things go bad, as they inevitably will. That’s why it’s important to include some fat in your photography fee, some profit margin, because you’re going to need that cashflow one day. So in our example I’m going to assume a profit margin of 20 percent, and that includes approximately 10 percent set aside for retirement, and 10 percent for your profit margin. So 20 percent of a $100 photo shoot is another $20 that needs to be covered by each photo shoot that you do. Camera gear is $6.67 per shoot. Car costs are $10.22 per shoot. Income tax and health insurance is $27.33 per shoot. The cost of training and time spent doing business operations is $20 per shoot. Insurance for our camera gear and general liability is $1.55 per shoot. The profit margin to set aside for later is $20 per shoot. So with that amount you’ve paid for everything except for your time on this particular photo shoot, and that’s time spent driving to and from the property, time spent shooting, and the time you spend editing the photos. So if you charge the client $100, and your costs are $85.77, then your time is worth $14.23. Let’s assume then that you spend 4 hours driving, shooting and editing, then that’s an hourly wage for you of $3.55. You’re making less than someone on unemployment benefits in Mississippi. It doesn’t make sense, does it? It is actually a little better than this, because you’re also getting $20 that’s included as profit, plus another $20 to cover the costs of your training and business operations, which all up comes to the sum of $54.23 per shoot. But remember, your profit is something that should be set aside for later – it’s not something you should use this week to pay the rent, or to buy new camera gear. So although the profit is YOUR money, I think it’s best if you don’t include it in your numbers for what you make on a shoot. When we do that then we can see that charging $100 per photo shoot, based on these numbers, is not sustainable, because when we remove your costs for camera gear, your car, income tax, insurance, and profit margin, you’re making $34.23. Based on that amount, 450 photo shoots per year would give you a take-home income of $15,400. I’m pretty sure you could not run a full-time business at that rate. If you’re only charging $100, you need to raise your rates. Camera gear is still $6.67 per shoot – that doesn’t change. Car costs are also still the same at $10.22 per shoot. Income tax and health insurance goes up to about $57.00 per shoot. Cost of training and time spent doing business operations is $20 per shoot. The profit margin to set aside for later is $40 per shoot. The total of all that comes to $135.44, leaving you with $64.56 to cover your time doing a photo shoot. So $200 for a photo shoot isn’t too bad, but it’s really only $64 in wages for you for your time. However, on top of that $64 in time you can add another $40 in pure profit, plus another $20 to cover your time and business operations, which means you effectively make over $120 per shoot, which is much better than $54 per shoot. 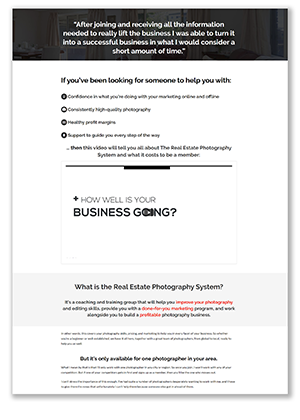 So jumping up from $100 to $200 makes a big difference – when you’re charging $200 you’re sustainable, and you can do alright, but when you’re charging $100 per shoot then you may find that your business can’t survive for very long. Alright, now it’s up to you to calculate your costs per shoot. I’ve prepared a PDF to help you work it out, because your numbers will be completely different to this. So let’s head over to my computer now and we’ll take a look at this. Now perhaps you’re freaking out because you’re looking at your current fees, and now you’re not sure how you’re going to make any real money as a photographer. First of all, the good news is that at least you know your numbers now, and so you have a chance to do something about it. That’s a pretty big deal. 1. You could do more photo shoots each day, and aim for 4 shoots per day instead of just 2. You would need to change how you work, but it could be done. What you’d need to do then is start reaching out to new prospects so you can get more clients. 2. You could raise your prices, as we looked at in that PDF, and that would instantly increase the wage you earn from each photo shoot. How successful you are with that though goes back to our discussion on positioning your business, which we did a few weeks ago. 3. 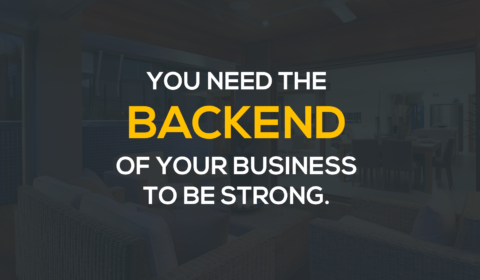 You could diversify your client base and work for other businesses outside of real estate, which is something I spoke about recently as well. For example, if you were to do one big shoot for a commercial client each month, and if you’re charging just $1000 for those photo shoots, then that’s an extra $12,000 per year, and that can help to balance out the lower rates you’re charging for real estate photography. Alright, are you starting to see how all of this fits together with what I’m talking about in this video series? So I’m talking about the way you position your brand in the market, having a diverse client base, and knowing how to shoot well enough for what you’re doing, and how to lift the standard of your photography depending on the situation. But here’s what I want you to take away from this particular video – know your numbers, make sure that your cost per shoot is something you’re aware of, and make sure the fees you’re charging are high enough to cover all of your costs, give you a healthy profit margin, and suitably reward you for your time shooting and editing. But we’ll talk more about marketing in next week’s video, so stay tuned for that one. 3. Good photos or your best photos? 4. Pricing for real estate photography: what does a shoot cost you? Would you like me to help you increase your architectural / real estate photography prices? I’m available to work one-on-one with a very limited number of photographers who specialize in architectural, interior, and real estate photography. You can find out more about my coaching and marketing program here. Want more free videos like this one?